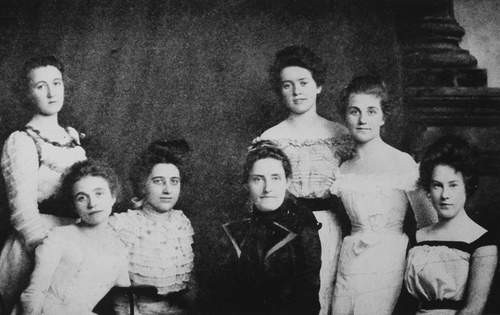 The Alpha Sigma Tau Sorority was founded on November 4, 1899, at what was then Michigan State Normal College, a teachers college in Ypsilanti. Back then, the sorority movement was just starting to sweep the country. Our Founders Helene M. Rice, Mayene Tracy, Adriance Rice, Eva O’Keefe, May Gephart, Mabel Chase, Ruth Dutcher, and Harriet Marx saw an opportunity for women to engage and grow together as Sisters. Their legacy – Alpha Chapter – is still thriving at what is now known as Eastern Michigan University. From our beginnings in 1899 to today, we are proud to have continually promoted the ethical, cultural, social, and professional development of our members. 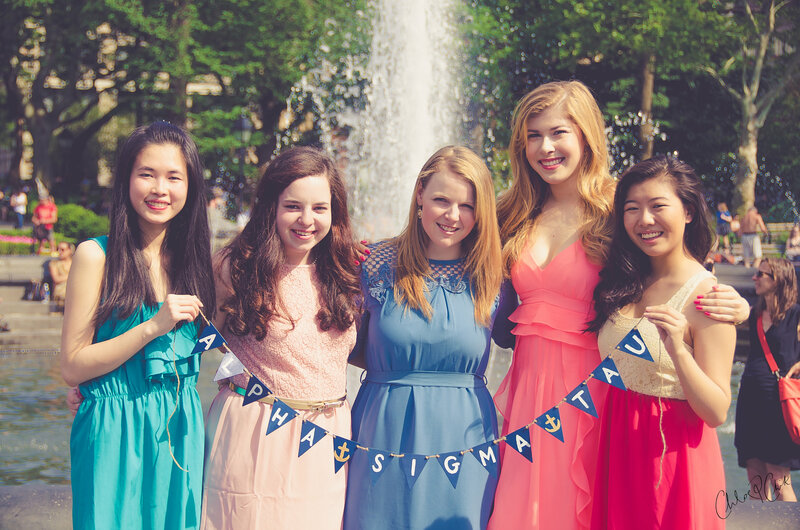 The Sorority invests in women by instilling the skills necessary to navigate life, and inspires members to enrich their own lives and the lives of others. Like our Founders, we strive to empower women to excel in every way. April 1905: Our second chapter, Beta, was founded at Central Michigan Normal School (now Central Michigan University) in Mt. Pleasant. October 1925: Alpha Sigma Tau holds its first National Convention in Detroit, Michigan, where the Sorority’s member magazine, The Anchor, was first launched. April 1926: The Sorority joined the Association of Education Sororities (AES), a national umbrella group for sororities at teachers colleges. December 1951: Alpha Sigma Tau joined the National Panhellenic Conference (NPC), following a merger between AES and NPC. 1982: The Alpha Sigma Tau National Foundation was founded to support, promote, and expand the educational and charitable activities of the Sorority. 2009: The National Headquarters moved from Birmingham, Alabama, to its current home in Indianapolis, Indiana. There, a team of more than 15 professionals work daily to deliver services and support to collegiate and alumnae members and volunteers. Today, as throughout our history, the women of Alpha Sigma Tau continue to form lasting bonds of Sisterhood that carry on throughout life. Today, as always, we seek new members who aspire to lifelong friendship grounded in shared values to join our Sisterhood, and enrich their own lives and the lives of others.